About Wanfon | Rapid Prototyping and Precision Machining Professional Partner! 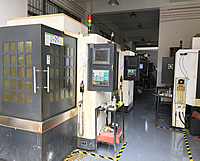 Wanfon is a professional manufacturer of Rapid Prototyping and Precision Machining from China, provides services all over the world. We handle different technologies as CNC machining, Vacuum Casting (silicon mould), Stereolithography (SLA)&Selective Laser Sintering (SLS), Sheet Metal Forming and so on, we are sure that we can find a solution to meet your needs. Except Rapid Prototyping and Precision Machining, We also provide Low Volume Manufacture (Small batch Production) and Batch Production. When your quantity do not reach the number of making a steel mold, Low Volume Manufacture (Small batch Production) is a better way. Precision Machining is a way to solve the precision components that can not be made from Die-Casting or special finishing (like anodizing etc..) requested. 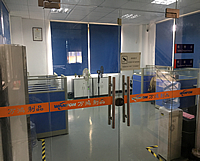 Why buy from WANFON rapid prototype? Before cooperation, We will sign a confidentiality agreement to ensure that your information will not be leaked. Wanfon holds all customer designs and files as proprietary and confidential at all time to ensure your intellectual property. You will get superb quality prototypes from us. Everything is easier for you. Base on our experience and proficient skills, we will easily choose the best solution to save the cost , that's why our price is less than others. 1. Client exports file to STL/IGES/STEP format. 2. Client sends STL/IGES/STEP files to Wanfon, and describes requirement, request for quotation. 3. Wanfon Prototype prepares formal quotation and sends it to clients by email. 4. Client confirms quotation and sends confirmation email back to Wanfon Prototype, using it as service agreement. 5. Wanfon Prototype processes the prototyping works after receiving the confirmation. 6. After the fulfillment of prototyping, Wanfon Prototype sends information letter and attached photo of prototyping models to client. 7. Client makes payment after receiving the information letter. 8. 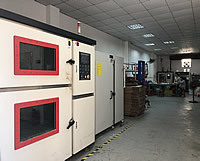 Payment done, Wanfon Prototype delivers finished parts via door to door international express. Pls Compress (.zip file) files if you are convenient, then enclose attachments with your enquiry email. And If your files is too large to send, pls contact us for FTP instruction. We can either create a secure folder on our FTP account or access yours to pick the files. Files also can be put on CD if necessary via any transport company you desire. What are 3D drawings and why do I need them? 3D Drawings are created in a CAD (computer aided drafting) program such as SolidWorks or ProEngineer. These drawings/models are required in order to create a rapid prototype. You can download Rhinoceros CAD software and try to create your own CAD files. When should I pay for? We will provide you the pictures after we finish the prototype, and after you check the picture, you can arrange the payment and provide us with the bank slip or paypal receipt, then we will arrange the delivery.